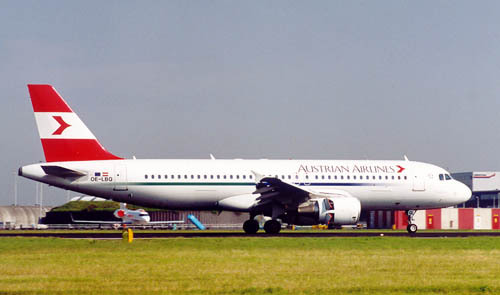 Airbus A320-214 OE-LBQ (c/n 1137) is seen landing at Amsterdam IAP-Schiphol (EHAM) in June 2000. 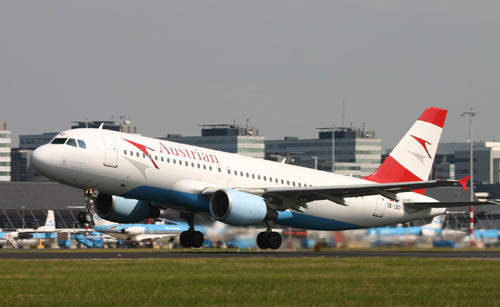 During 2004 Austrian Airlines introduced a slightly different livery. Airbus A320-214 OE-LBO (c/n 776) in its new colourscheme, taking of from runway 24 at EHAM.